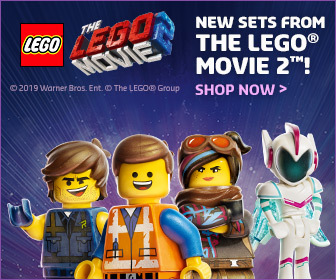 With The LEGO® Movie 2 doing well at the UK box office, kids across the country can’t get enough of Emmet, Rex, Unikitty and co. As well as an extensive range of LEGO sets, there are numerous branded products available for fans of the film to show off their love of LEGO. 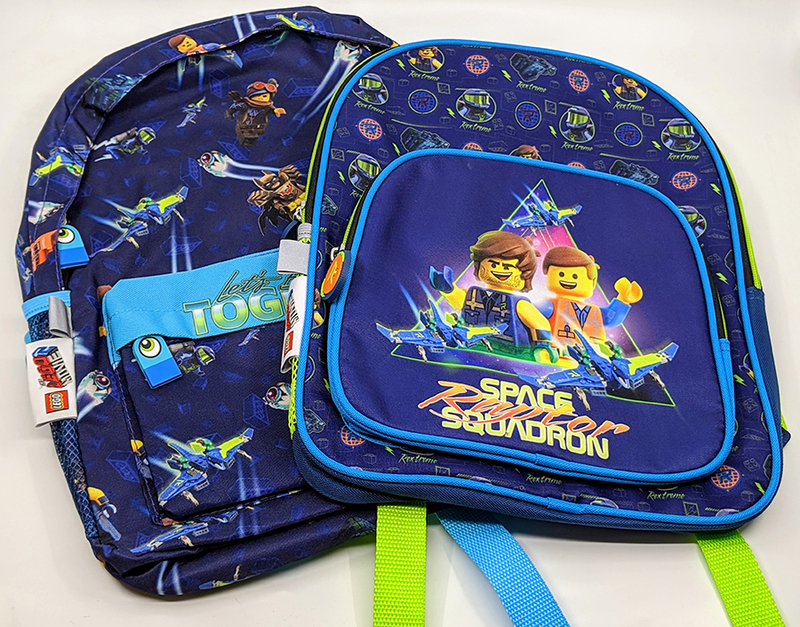 Sambro produce an officially licensed range of LEGO bags and stationery products, and they have sent us a few bits and bobs to take a closer look at. 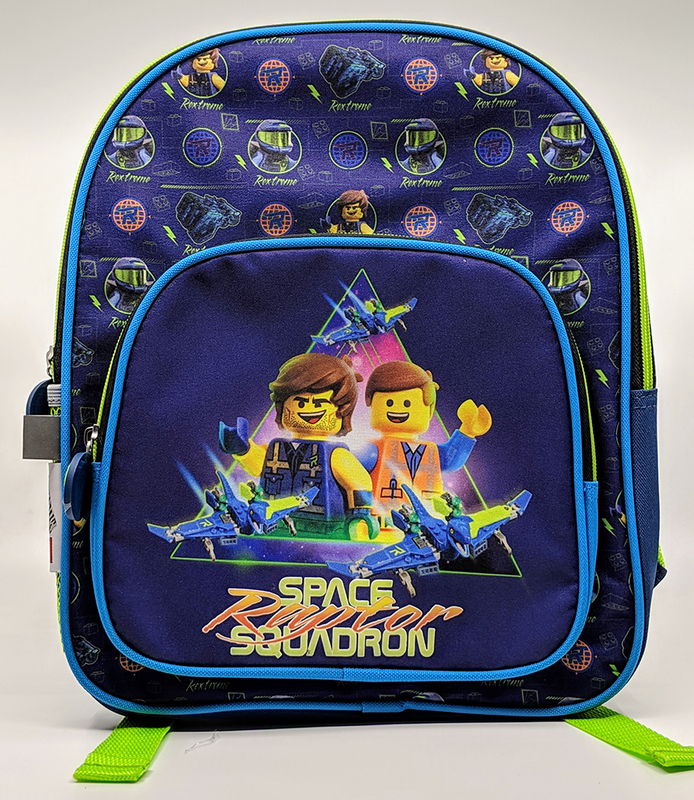 The first of which are two of their The LEGO Movie 2 branded backpacks. 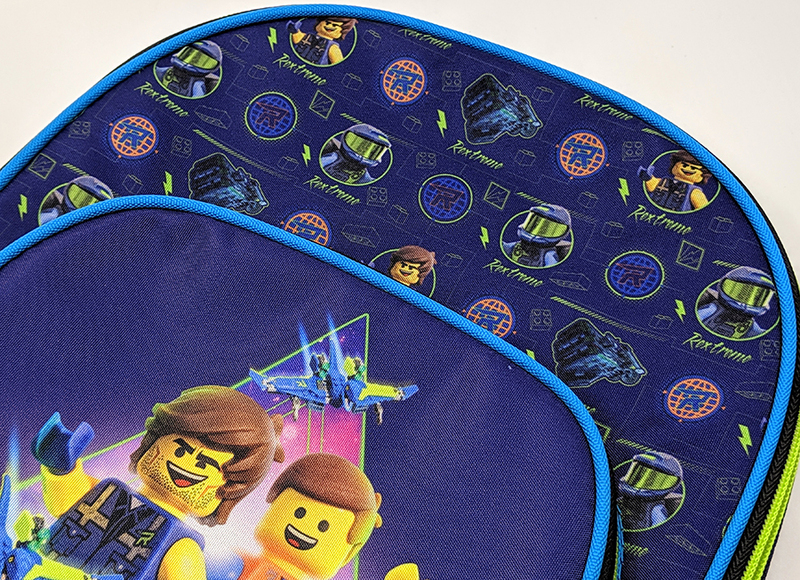 The full range of The LEGO Movie 2 backpacks, bags and lunch bags are available from retailers including Amazon, Argos, M&Co and Character.com. 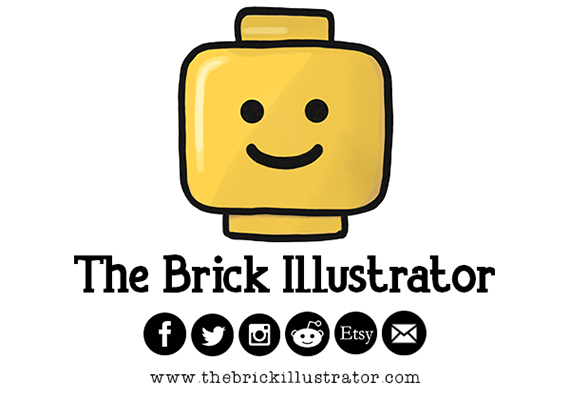 Rex Dangervest is one of The LEGO Movie 2’s new characters. 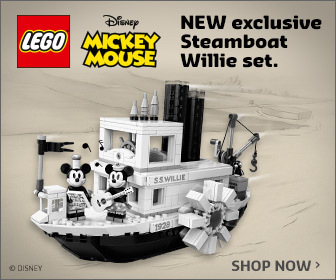 He’s the galaxy-saving, raptor wrangler, cowboy archeologist who teams up with Emmet to help trackdown Lucy and his friends. 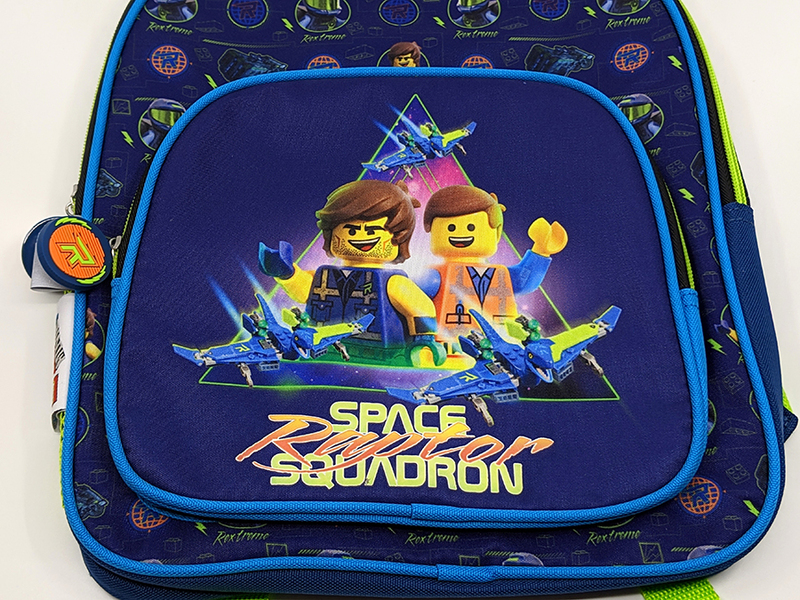 He’s also the star of the Space Raptor Squadron backpack. 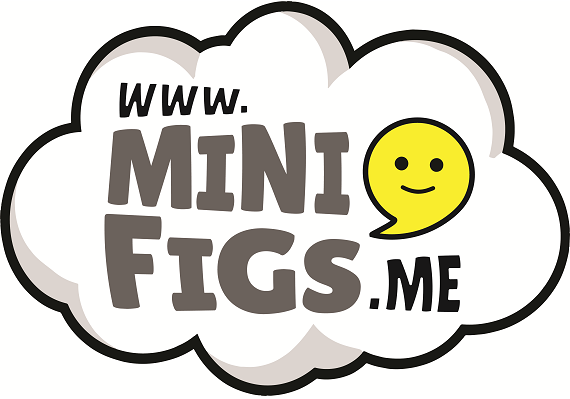 This backpack features a larger compartment and a smaller one at the front of the bag. There’s a mesh pocket on one of the side for extra storage. 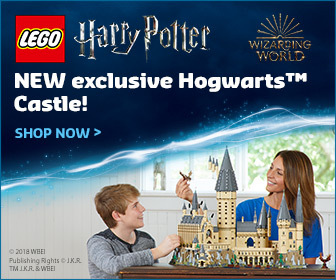 The design features Rex and Emmet, as well as some flying Raptor jets. 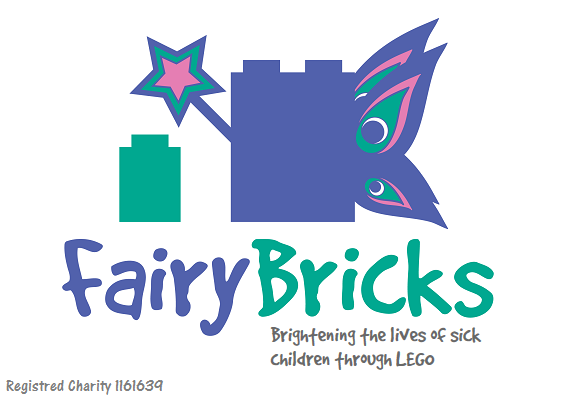 It’s colour scheme matches that of Rex’s various LEGO sets, so dark blues, lime green and sprinkling of a lighter blue. 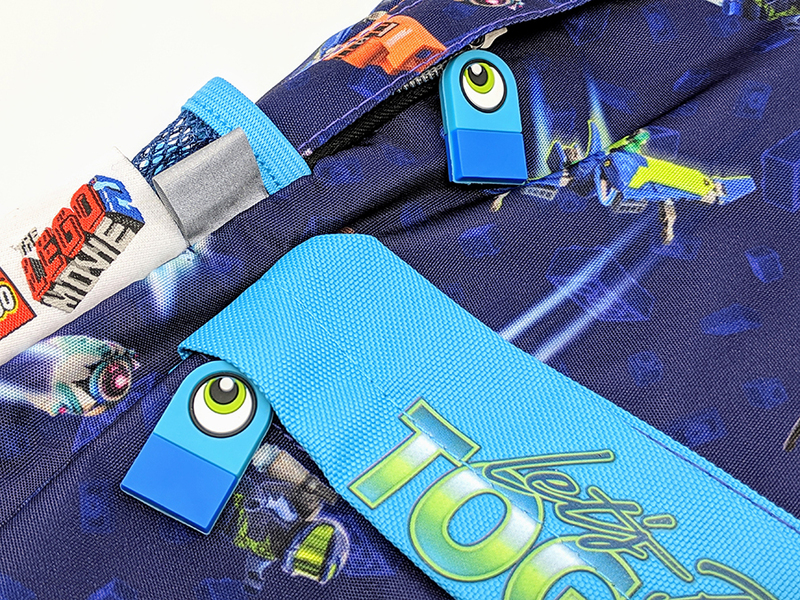 The shoulder straps are fully adjustable, making it great for kids of various ages. 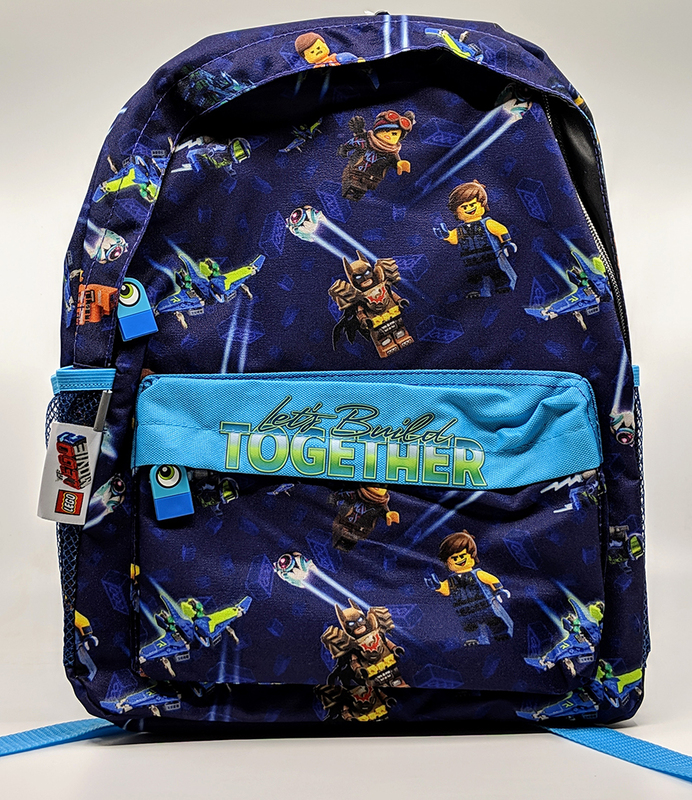 The Let’s Build Together Backpack is similar to the one above, although it’s a slightly different design, with a covered zips and mesh pockets on both sides. 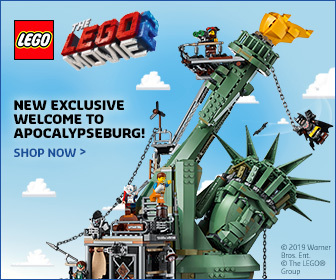 The design features Emmet, Lucy, Rex and Batman, with more of those flying Raptor jets and Sweet Mayhem’s ship. 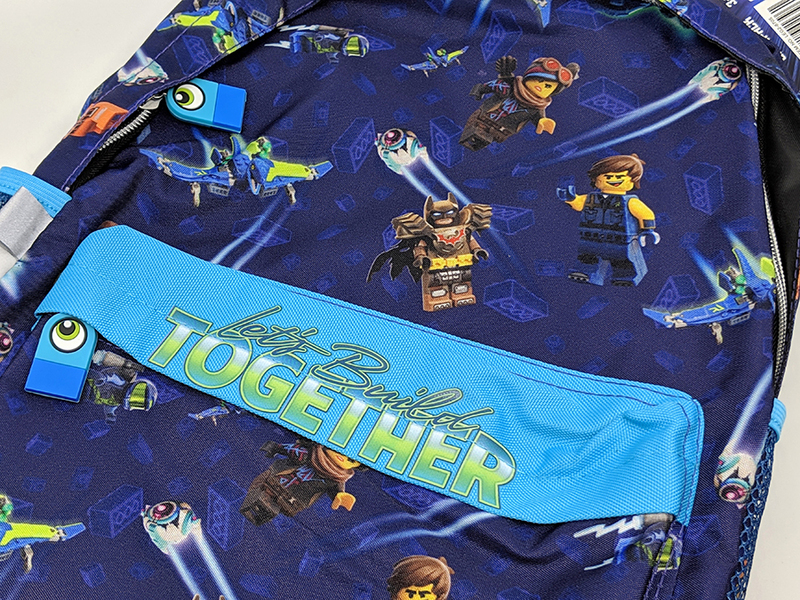 It may not seem as jazzy as the other bag but I kinda like it more and the zipper tags, which are little DUPLO aliens are amazing. 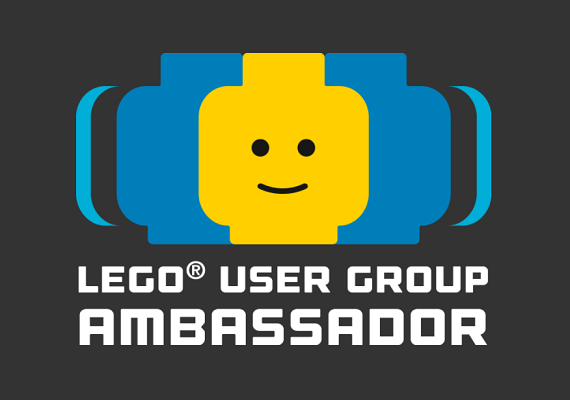 Thanks to Sambro International for sending us these products to take a look at, the opinions expressed within the article reflect those of BricksFanz and not of Sambro, the LEGO Group or Warner Media.